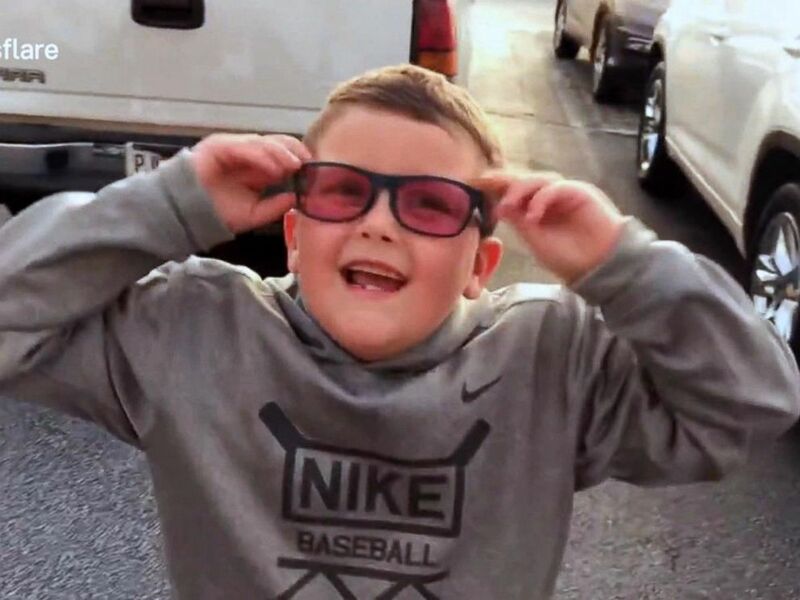 A colorblind boy’s new special glasses instantly made his world brighter and, for the first time, full of color. Cameron Fink and his mother, Erin Fink, joined "Good Morning America" today from their home in Marietta, Georgia, to describe the memorable moment when the 6-year-old put on the glasses and was able to see more shades of color than he has ever known. They first noticed his struggle to distinguish colors when he was a 3-year-old in preschool, Fink said, adding that colorblindness runs in the family. He had struggled to distinguish between shades of red and green and used to see the world in muted hues, Fink said, until she gave him the EnChroma glasses, special optical-assistance glasses that can correct a red-green color deficiency. The patented lenses are estimated to be effective for four out of five cases and utilize EnChroma technology that targets the retinal cone to correct neural signals transmitted up to the visual cortex, according to the company. "When I gave him the glasses, I didn't know if they were going to work or not, and as soon as he saw the color red for the first time it, was amazing," the mother said, holding back tears. "Seeing him see the world and all these colors he didn't know existed is incredible. He's an awesome little boy and we just have so much fun together now when we go outside and he can see everything in Technicolor. It's indescribable." The young boy, who was still wearing the glasses on "GMA,” said there are "too many colors" to describe all the new hues he has discovered, but he already has a new favorite. "My favorite color is red," he said.